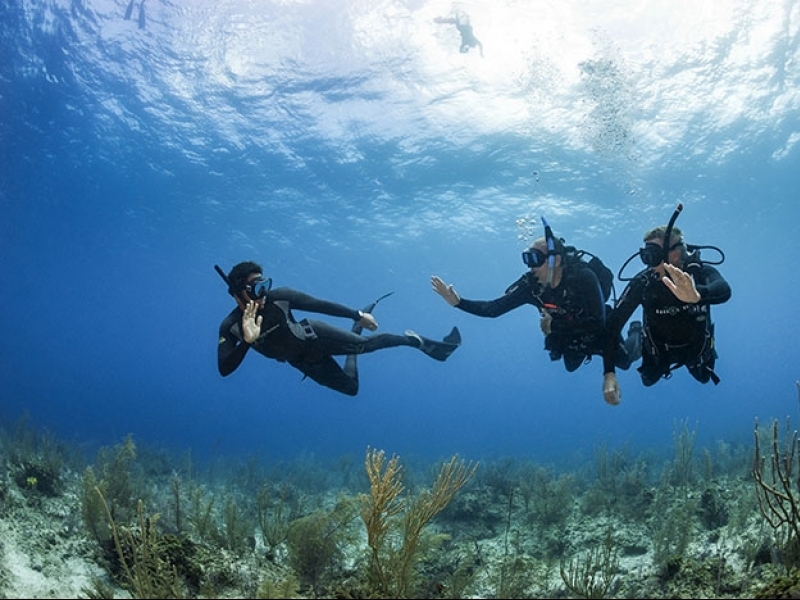 The PADI Freediver Courses teach recreational freediving. Competitions and record attempts are part of extreme freediving. Somewhere in between recreational and extreme freediving is a blurry line that separates the two. Looking for personal limits and taking a peek beyond them is probably part of human nature. This is exactly what you do when staying under water just a little bit longer than you would without a basic knowledge of freediving – you are exploring your own self. Freediving is very much about discovering new sensations by learning and developing new capabilities. Going one step beyond and shifting your momentary boundaries in a relaxed, comfortable manner – this is recreational freediving. Going for a record, developing an even faster method for deep diving – this means not only going beyond your personal boundaries but also pushing the known limits of human capacity. Freediving in these dimensions requires total devotion to the sport and a deep commitment to the lifestyle of an athlete. This includes a strict training schedule, a rigorous diet, healthy sleeping patterns and so forth. In short, being a freedive athlete will outline your whole life. This is categorized as extreme freediving. In certain countries such as Spain, France, Italy, Belgium or others, freediving is also referred to as “apnea”. It is derived from the Greek word “apnoea” and literally translated stands for “without breathing”. Technically, freediving starts when you hold your breath in water. The importance of this simple definition cannot be overstated. All safety procedures that you will learn in the PADI Freediver Course become valid at the very moment a person is doing a breath hold in water. 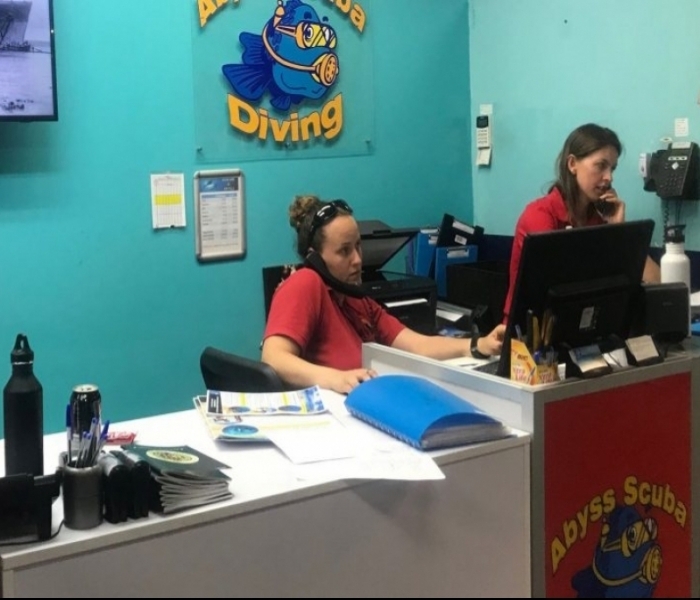 Obviously, this is the case in open water, but it is equally important to keep this in mind when holding your breath in swimming pools, or even in your bathtub. As freedivers we become one with the underwater world. It is the most natural way of being underwater on a breath hold – just like any other mammal that lives in water. If we move gracefully and steadily and do not exhale bubbles, underwater life is much less scared of us. Curious fish will approach us. We do not need to “chase”, we only need to wait to be approached. Whatever your choice of freediving is, you can be assured to learn a great deal about yourself. Freediving confronts us with one of our deepest fears: The fear of drowning. 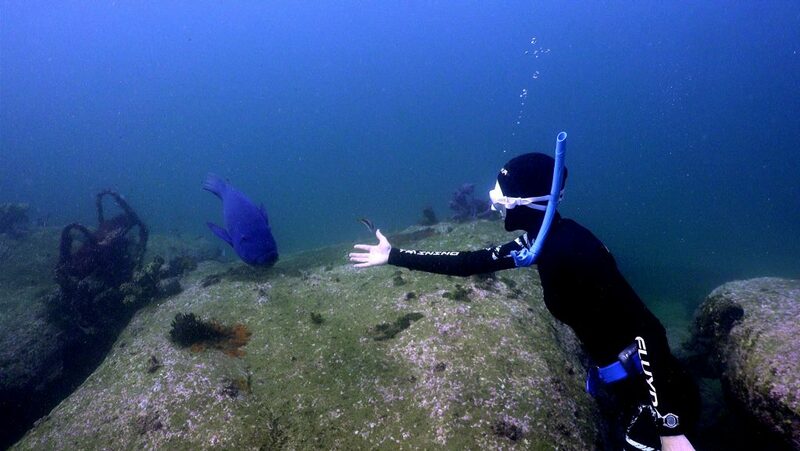 In your PADI Freediver Course, you will learn why this will not happen. But fear is unlikely to diminish just through knowledge. Since the time we were babies, the “urge to breathe” has been drilled into us as a command of our body. We have learned to obey immediately, or damage will be done, as we assume. During the PADI Freediver Course, you learn that the “urge to breathe” is not hard wired – it is information about what is happening in your mind and your body. You will learn to deal with that information in a new and safe way. This takes some time and repetition. Soon you will get to the point where you would usually want to breathe. But you purposely decide not to, even if it is just for another few moments. This is where the freediving journey begins. Freediving is about inward power, discipline, and control. If you’ve always wanted to enter the underwater world quietly, on your own terms, staying as long as your breath allows, then freediving is for you. Learning to freedive is a simple process so you should book your freediving course today.